When using text to 9-1-1 please remember “Call when you can, text when you can’t.” Texting should only be used when you are unable to make a voice call to 9-1-1. Text location information is not as robust as current location technology. The first thing 9-1-1 needs to know is location and type of help needed. Like all text messages, messages can take longer to receive, messages can get out of order or your message may not be received at all. 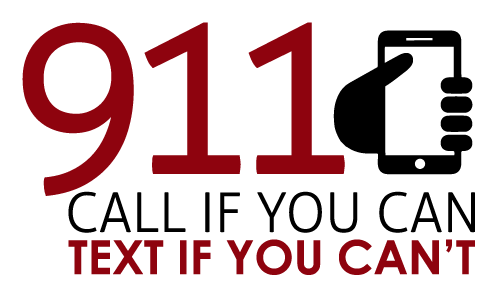 If texting to 9-1-1 is not available in your area or is temporarily unavailable you should receive a message on your phone to indicate that the text was not received by 9-1-1.